About a year ago, I started asking our customers to write reviews about the products that they bought from us. I figured it might be a good idea to let people know what others thought about our stuff rather than just blabbing about it myself. Sure, I expected people to be satisfied and say nice things. After all, we are incredibly picky about the quality of the products that we sell. We are proud to supply some of the top restaurant chefs from around the country. But the thing is, you never really know what people are going to say when you give them the opportunity. 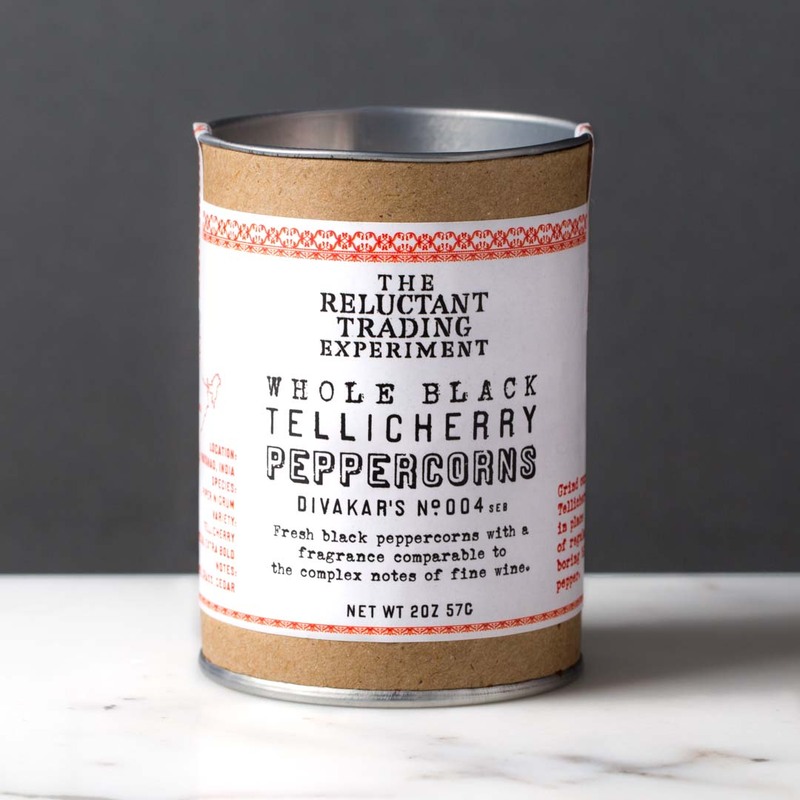 At the time of this post, we had 90 reviews of our Tellicherry Peppercorns. 98% of the reviews gave us 5-Stars. Here are just a few of the reviews - you can check out the rest of and visit here to buy the Tellicherry Peppercorns. Reliable and High Quality So glad I took a chance with your company. This was not my first order and I will remain a loyal customer. The quality of your products is top notch. I have also recently recommended you to a friend. Keep up the good work. Delicious Experience Everything about the order experience was delicious...from the appetizer (the purchase) to the main course (the delivery of an unbelievably aromatic flavorful black pepper) to the dessert (the friendly customer service). We will definitely be back to order more in the future! The best ever!!! I cannot live without these peppercorns!! I have a life before these peppercorns and a life after these peppercorns. There is no going back to by unfulfilled life. Dancing the Peperana! Unless you have ordered from the Reluctant Trading Company (RTC) before, you simply don't know what to expect. Quick, friendly service with a touch of humor. But that isn't the reason I came back. RTC has, simply, the best pepper available on the face of the earth. If you enjoy wine, you will enjoy the nuances of this pepper! Layers of fragrance...not just pepper, but flowers, fruits, chocolate and more developing as you inhale. The same on the palate: Layers of flavor which keep on developing... not just heat, but flavors that I didn't even know that pepper was capable of imparting, and don't know how to describe. And, all of that without any elbows or other sharp objects poking you along the way...perfect balance. Literally, anything that can be improved by the use of black pepper, can be raised a couple of notches with the Tellicherry Pepper from RTC. If you have purchased their pepper before, you already know all of this. If you haven't, please add this incredible pepper to your culinary arsenal. The Tellicherry Peppercorns are Amazing! I spent quite a bit of time researching different sources of these large Tellicherry peppercorns. The ones from The Reluctant Trading Experiment cannot be beat and the value is fantastic. The aromas and taste are amazing. Not a foodie, but I like pepper I am most decidedly not a foodie. I don't spend lots of time in the kitchen preparing fancy food. I don't live in a area with fancy restaurants, and have never been inclined to spend bank on fancy food. This was the first time that I spent what I considered a lot of money on what was arguably "just seasoning." I have found these peppercorns to be noticeably better than any others that I have put in my pepper mill at home. The flavor is fresh, and the aroma also noticeably stonger. I also love the story behind DIVAKAR'S NO. 004, which is ultimately why I purchased from The Reluctant Trading Experiment. I will be giving small amounts of these excellent peppercorns with pepper mills I am currently making as gifts for my friends. I'm sure they will also notice the difference. Who knew peppercorns mattered so much?! I bought Tellicherries (Divakar's No. 004), and the cool chemist bottle to keep some by the stove. I admit, I didn't realize what a difference good pepper made when it comes to cooking, or just brightening up a meal. These Tellicherries are amazing! They're smoky and complex and not at all bitter. The price is right, and the service is prompt, courteous, and delivered with a sense of humor. I had an all around positive experience with this purchase. I will definitely buy again, and I'm telling all my foodie friends and locavores to do the same! WOW!!! Upon receiving the Tellicherry Black Whole Peppercorns, Divakar's No. 004, Restaurant Variety from Reluctant Trading, I held a double blind head to head comparison between it and the Spicy World Peppercorn (Whole)-Black Tellicherry sold on Amazon, Turns out the reluctant Trader Variety is so much better it was no contest...... WHAT AN AROMA!!!! The Divakar's No. 004, Restaurant Variety runs half again the cost of the Amazon Spicy World, but the difference in flavor and aroma is WELL worth it! Great Service, Better Peppercorn I've placed two orders so far with The Reluctant Trading Experiment and each time my order arrives quickly and packaged well. I couldn't be happier. The search for great peppercorns is what lead me to TRTE and I was floored after receiving my first shipment. The peppercorns are unbelievably fresh and are of a true Tellicherry variety. 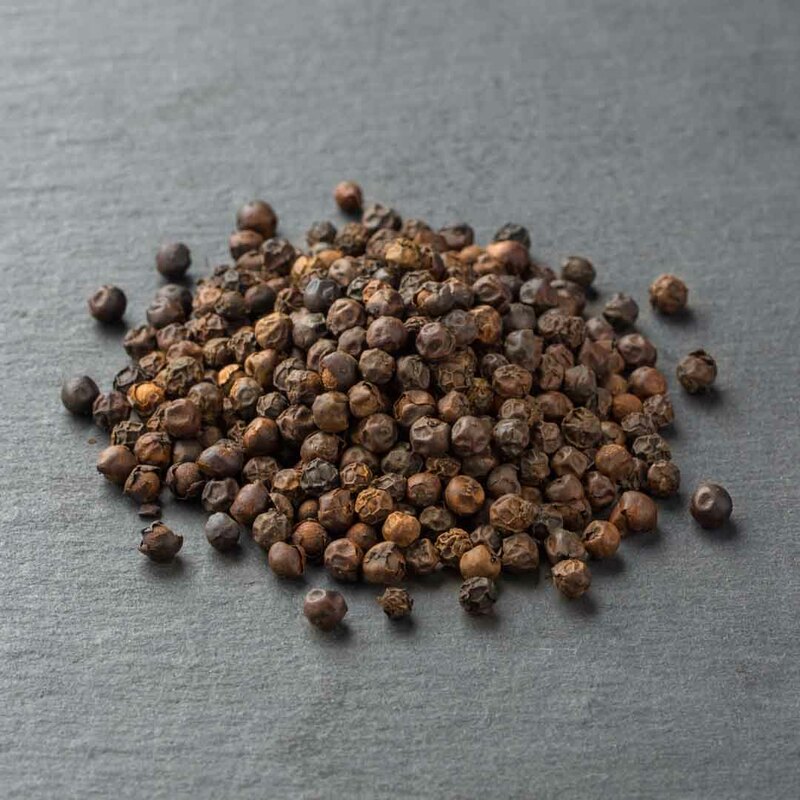 These large peppercorns have a softer pepper bite, that allows a beautiful citrus quality come to the forefront. I will be a life long customer. Pazzzow. This is some amazing pepper! Not to mention, I had more fun with this whole experience than I have had with any other purchase. Ever. Who thought buying a common spice would be such fun? You've got a beautiful website with a wonderful backstory. I even bothered to snoop around your blog, which again is a first for me. I like your style, and really appreciate all the love that you're putting in to the business! Keep it up Scott, looking forward to buying from you again. 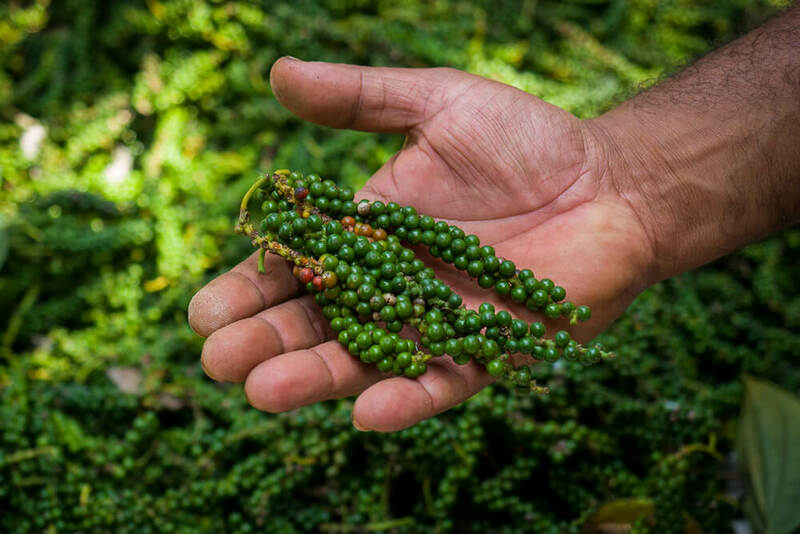 Here's where you can shop our Tellicherry Peppercorns fresh from India. We're thrilled that Bon Appétit just named Reluctant Trading Experiment a "Great Online Specialty Food Retailer." Award-winning Portland Chef Bonnie Morales of Kachka called our hand-picked Tellicherry Peppercorns "the best you can get." And Chef Morales goes on to praise our fresh Turmeric too. Bon Appétit sites our "outstanding" Masala Chai which was previously written about in a Bon Appétit chai feature titled "the best you can buy." In addition, our Icelandic Sea Salt, Green Cardamom Pods, Black Cardamom Pods and pepper mills. We couldn't be more thrilled and excited to be recognized by the critics at Bon Appétit. Trés bon!